Article - Rational, Logical Marketing vs. or PLUS Emotional Triggers? * I've been working on a site makeover, thanks to Elsbeth Oggert of Its an Office (http://www.itsanoffice.com): Digifeld has a whole new look. 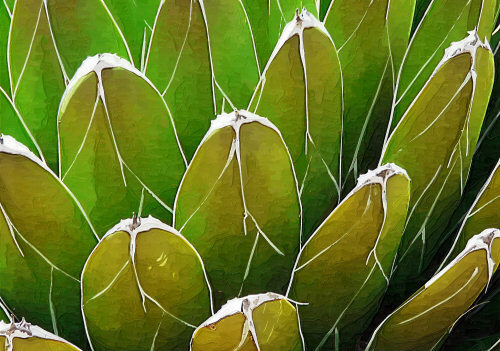 I've designed it so people can download, at no cost, my redigitized photos (and a few from others as well) and use them for marketing, personalized cards, wall art, and illustrations. Great for kids who want to write eBooks, etc. 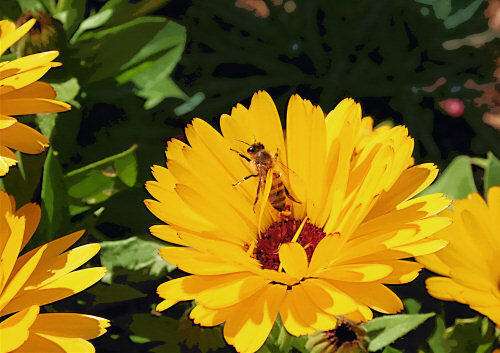 I haven't uploaded all of my pix, but I have quite a few, and would love to have you stop by: http://www.digifeld.com - if you can think of ways my photo art can help others, in business or personally, be my guest! I just completed (with great interest as always, thank you) your latest issue of Communication Expressway, and find that I must take exception to the comments attributed to Gerry McGovern, not for what was said, but for what was not said either by him or by you. His assessment of today's consumers being more savvy, more rational-minded, more interested in authenticity, and less susceptible to some of the more trite expressions that have long passed their days of influence is -in my mind- 100% correct. Where I depart from what was said is that I believe the comments made would tend to lead a reader down the path of focusing her or his business marketing messages on rational, logical, unemotional, product and service features alone (i.e., ingredients, warranties, greenness, etc.) when in fact every consumer purchase has been repeatedly proven to be emotionally triggered. That is not to say that features and rational chunks of sales pitches and marketing pieces should be abandoned or sidetracked. This kind of information is required by consumers as justification for their purchases, and more so today than ever before because of speed-of-light information access. Case in point (which, in concept, applies equally to every conceivable product or service purchase) . . . I tell everyone all the reasons that I buy a particular vehicle: it gets great mileage; it is ranked among the top in safety tests; the manufacturer is reliable; the warranties are among the best available; parts are easily and inexpensively replaced and service is readily available. Sounds great, right? Kind of makes your rational, unemotional, authentic mouth water? The truth is (which I would never own up to in public) that the real reasons I bought the vehicle are that I think I look good driving it and that the salesperson wasn't pushy. And the dynamics are the same for seemingly rational purchases like insurance policies, accounting services, a can of beans, or the daily newspaper. So, the bottom line is that while rational, logical information needs to be presented as a marketing cornerstone, it's always going to be an emotional trigger that makes the sale. But we shouldn't abandon one approach for the other. They need to work in tandem. It's what makes great marketing so challenging, and why so few really understand how to do it effectively. Thank you for the opportunity to comment and for introducing the perceptive insights of Gerry McGovern ... certainly someone whose work is worth following. 1. HOW MUCH INFORMATION GOES ON A BUSINESS CARD? The formation of the word "steenth" from "sixteenth" took place through a process called aphesis (from Greek, literally "a letting go"). Aphesis is when an unstressed sound from the beginning of a word get lost over time. "gypsy" from "Egyptian", from the belief that Gypsies came from Egypt (they actually came from India). There are different reasons for using uppercase letters, but one thing on which we should all agree is that it should never be necessary to re-key, manually, any text just to change its case. There is a way to let Word make those changes for you. * Sentence case. This will capitalizes the first letter of the first word only. * Lowercase. This converts all the letters to lowercase. * Title case, which capitalizes the initial letter of each word. * Toggle case. Word will reverse each letter of the selected text. Capitals will be turned into lowercase, and lowercase letters will become capitals. This is handy when you have inadvertently typed a paragraph or two with "Caps Lock" on. If you have only a small amount of text where you need to change the case, highlight the selection and pressing Shift+F3 Using this keyboard shortcut will toggle between lowercase, title case, and uppercase. 1. Nickel Weeklies: digital collection of nickel weeklies for consumption by the general public. This collection includes 221 nickel weeklies, and visitors can browse these offerings by title, date, or author. What happened to April? It slipped right by me. (Except for the part about paying taxes.) So much going on, and such a beautiful Arizona spring...with cool weather. Great clients, wonderful family and friends, happy cats, and some fun photography trips. I hope your spring was delightful. Let me know! 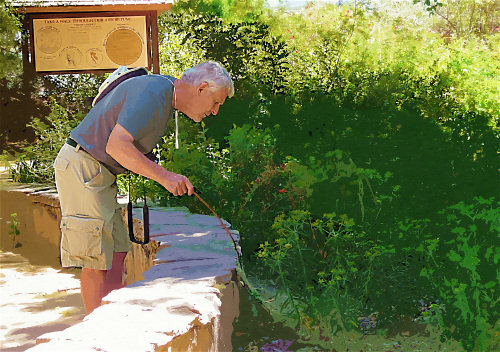 My brother, David Crook, at Boyce Thompson Arboretum, Superior, Arizona. Trying to nudge a HUGE spider out of hiding. Didn't work. Taken by Judy Vorfeld. Succulents at Boyce Thompson Arboretum, Superior, Arizona. Taken by Judy Vorfeld. 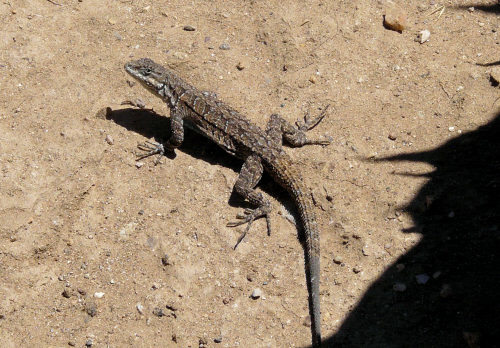 Lizard at Boyce Thompson Arboretum, Superior, Arizona. Taken by Judy Vorfeld. 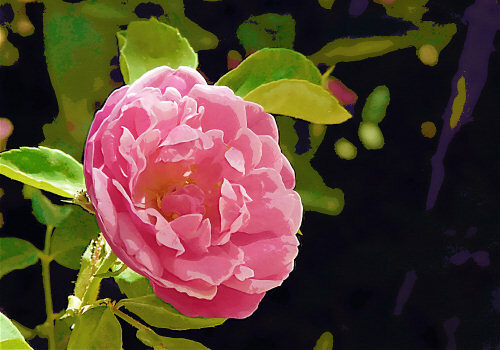 Rose blossom at Boyce Thompson Arboretum, Superior, Arizona. Taken by Judy Vorfeld. 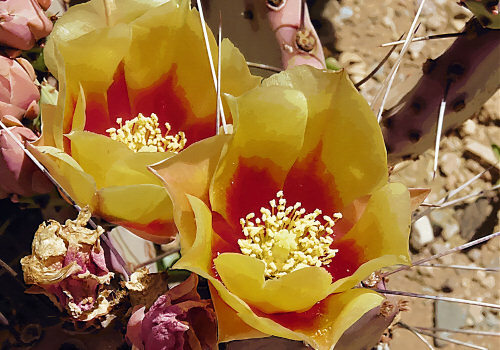 Cactus Blossoms at Boyce Thompson Arboretum, Superior, Arizona. Taken by Judy Vorfeld. 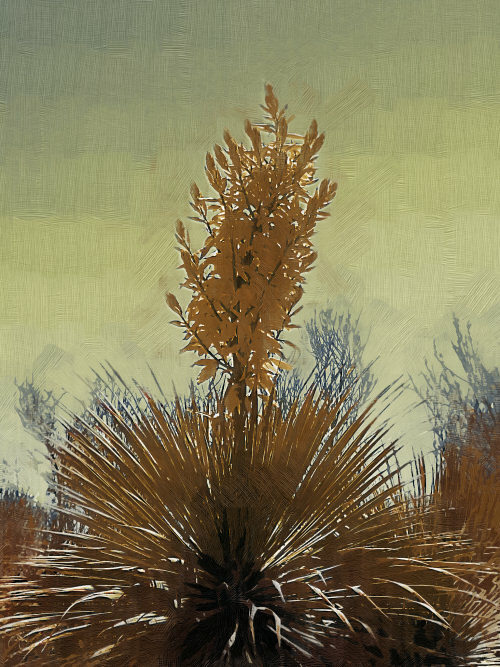 Yucca at Boyce Thompson Arboretum, Superior, Arizona.